New York City’s Coney Island has become one of the best in New York City. There are a lot of things to do at Coney Island and Brighton Beach. In the 19th century, the peninsula has become a recreational spot for the urban population of New York. Locals escape the summer heat and cool off at the Atlantic Ocean on Brighton Beach. There are not many outdoor pools in New York City. The few parks with pools are often hopelessly crowded. 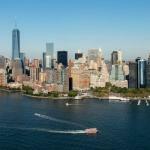 In this guide we will provide you with recommendations for things to do in Coney Island and Brighton Beach. Coney Island and Brighton Beach is very easy to get to and you can not really miss the stop. It’s the very last station on the D F N and Q trains. You basically just hop on one of these trains and just enjoy the ride to Coney Island-Stillwell Avenue station. From there you can enjoy the many restaurants and carnival attractions or you can go straight to the boardwalk and Brighton Beach. Coney Island and Brighton Beach is located on the southern tip of Brooklyn, right on the Atlantic coast and is a great place to check out. There are tons of restaurants and places to go for day-drinking. It’s just a relaxed area where the main goal is to get away from the stress of the city places on you. Coney Island and Brighton Beach is home to the finish line of the Brooklyn Half Marathon as well. But, the park is most famous for its amusement park. Coney Island has a long past with many ups, but some traces of decline. Some parts of the peninsula have already passed their best times, but they still exude a sympathetic charm and nostalgia. With that being said, there are many things to do in Coney Island and Brighton Beach. Luna Park – Located in Coney Island, Luna Park is the replacement of the infamous Astroland amusement park. Here, tourists and locals flock this amusement park and enjoy the many attractions. One of them is the United States’ historic wooden roller coaster, the Cyclone. Coney Island Boardwalk – In the summer months, thousands of people on the boardwalk. You’ll have access to the water, you can enjoy seafood and even enjoy drinks. Brighton Beach – Coney Island and shares the same beach and boardwalk as Coney Island. The people here are mostly locals that have ties to the Russian and Eastern European communities. It’s very laid back and many restaurants so spread out through the neighborhood. The Coney Island Museum – Here, guests want to learn about popular American culture through creative exhibits and performances. It’s a great place for families to check out. Nathan’s Famous – The most popular hot dog in the world started off in Coney Island. It’s definitely a place to pay a visit, but make sure it’s ready for long lines, especially during warmer months. If you have all the time in the world, these are some other things to do in Coney Island and Brighton Beach. The famous Cyclone roller coaster on Coney Island is one of the city’s landmarks. Hurricane Sandy in 2012. The rollercoaster is a great memory of the old Coney Island. This rollercoaster has been around for over eight decades, but it’s as popular as ever. The wooden roller coaster today, as well as what a thrilling ride. The rickety cars rock and vibrate which makes it seem like it’s not the most trustworthy ride. The Cyclone was designed in 1926 by the entrepreneur Jack and Irving Rosenthal, after they had a small piece of land between Surf Avenue and the boardwalk. Holders of the New York Pass will receive a four-hour wristband so you can access Luna Park. Another reminder of the “good old days” is Deno’s Wonder Wheel. The Giant Wheel, now called “Wonder Wheel” is still one of the attractions of Coney Island, New York next to the Cyclone. The ferris wheel was built in 1920 and became an official landmark of the city of New York in 1989. As of right now, Coney Island and Brighton Beach is where the Brooklyn Half Marathon ends their race. It has been this way for a while now. If you’re in Coney Island in the beginning of May, make sure you check out thousands of runners crossing the finish line on the Coney Island Boardwalk. Better yet, you can help them out by cheering them on. If you’re on a tight budget then this is one of the best things to do in Coney Island and Brighton Beach. The boardwalks are all connected. During warm months, you can enjoy fresh seafood, popular American finger foods. Even the famous Luna Park is located right next to the boardwalk. And, if you get too hot, you can always jump into the ocean to cool off. The New York Aquarium is located on the boardwalk on Coney Island as well. It is one of the oldest aquariums in the US, first opening in Battery Park in 1896 and moving to its current location in 1957. To learn more about the aquarium please visit their website here. Summer in New York: The days can be very hot and the humidity can be incredibly high. The breeze between the skyscrapers in Manhattan does not help either. This is where Brighton Beach comes in. The community of Brighton Beach is located on Coney Island in the south of the New York City of Brooklyn is the largest Russian enclave in the United States. Just as Little Italy is for the Italians and Chinatown for Asians, Brighton Beach is for the Russians. In reference to the Ukrainian port city of Odessa, Brighton Beach is also known as Little Odessa. The beach section is very popular especially on weekends and attracts countless visitors. Coney Island is famous for having really awkward events, such as the annual and legendary “Mermaid Parade” or the New Year’s Swim. The Mermaid Parade celebrates the beginning of summer and the dazzling history and myth of Coney Island. Participants dress up as sea creatures during the Mermaid Parade. For more information and online registration, visit the Mermaid Parade website . A special highlight on Coney Island New York is the annual hot dog eating contest at Nathan’s Famous . Since 1972, people meet each other on the fourth of July to find out who can eat the most hot dogs in ten minutes. Welcome to America! This colorful set of walls is pretty much at the outdoor museum of street art. It’s pretty famous for the Wynwood Walls in Miami. To learn more about this outdoor museum, please visit their site here. The southernmost tip of Brooklyn, right on the Atlantic coast, has been published for its amusement park and popularity with the Russian immigrants. Here, you’ll experience light organs and musical clutter. The sea breeze carries scents of western grilled foods, Mexican tortillas, things being fried in oil, popcorn popping and cinnamon from sugary treats throughout the air. Coney Island has gone through many different stages. It is not always the greatest place to visit. This location is for tourists and locals to visit during warm months. You have the New York Aquarium, Luna Park and the boardwalk. Many others are here and it’s a great place to take social media photos as well. We do not really recommend finding a hotel in Coney Island and Brighton Beach. It’s pretty far from Manhattan and everything else in general. 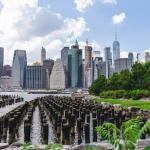 We suggest looking for hotels near Downtown Brooklyn or Park Slope if Coney Island is a priority for you. That way, you’ll be close to Manhattan and Coney Island and Brighton Beach. 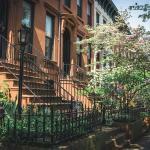 We suggest checking out these Brooklyn Neighborhoods below since you’re in the vicinity.